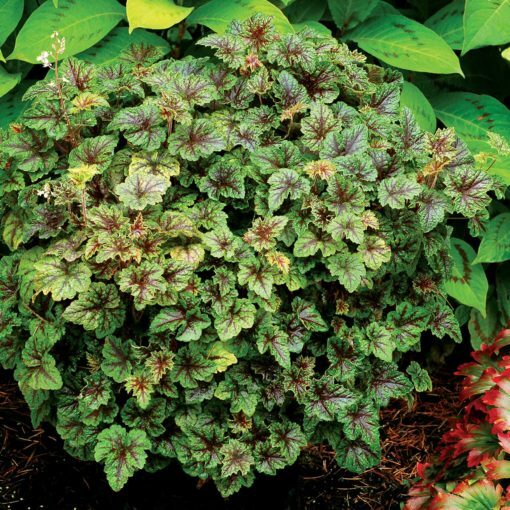 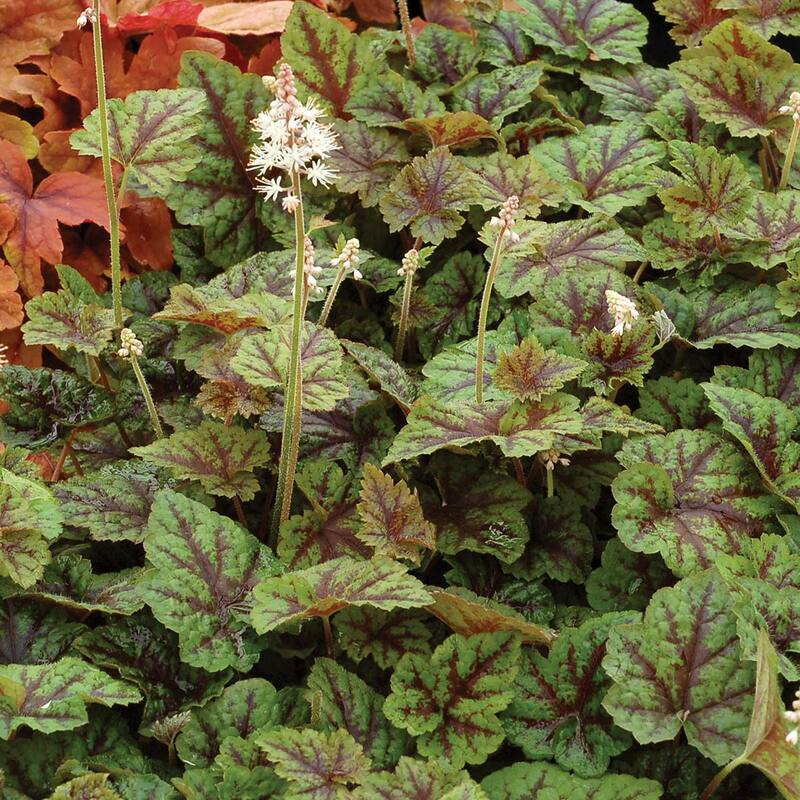 Tiarella ‘Sunset Ridge’ | TERRA NOVA® Nurseries, Inc.
'Sunset Ridge' will please you with its vigor, glossiness, and beautifully marked leaves. 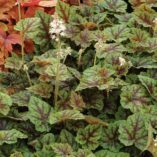 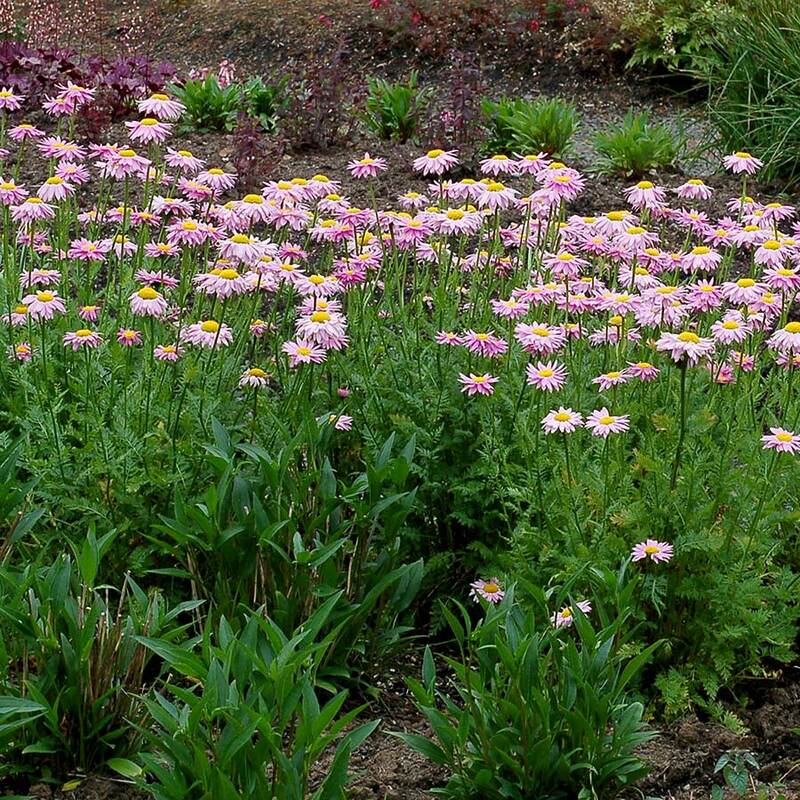 It makes a great ground cover or use in hanging baskets. 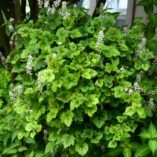 A great non-climbing Ivy replacement! 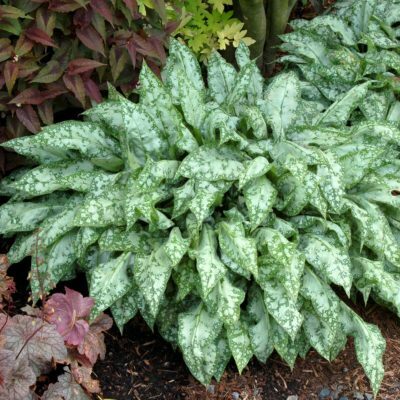 The leaves are glossy as well as being well marked. 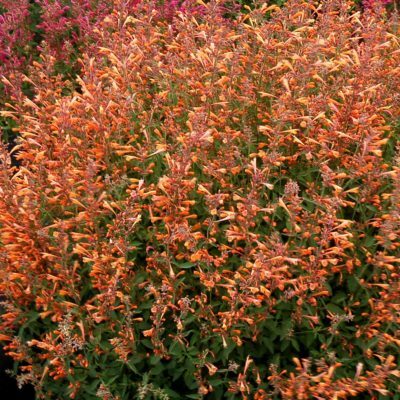 It has an excellent trailing habit. 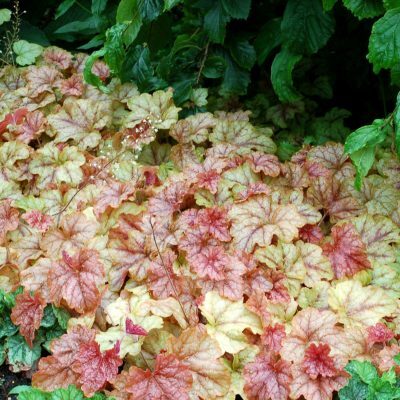 Compared to 'Running Tapestry' it is much more vigorous. 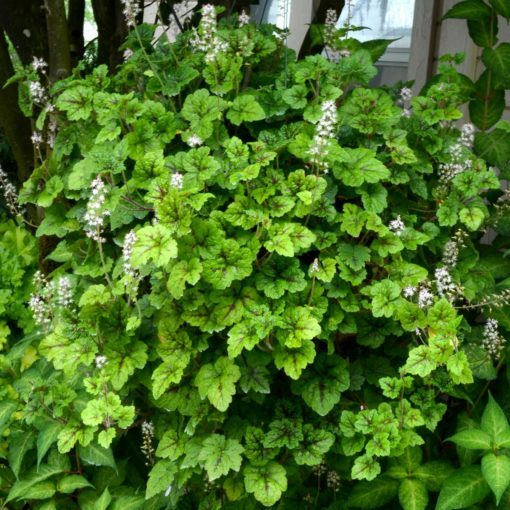 It has larger leaves that are glossier and better marked. Colorfully marked foliage, charming flowers, and trailing! 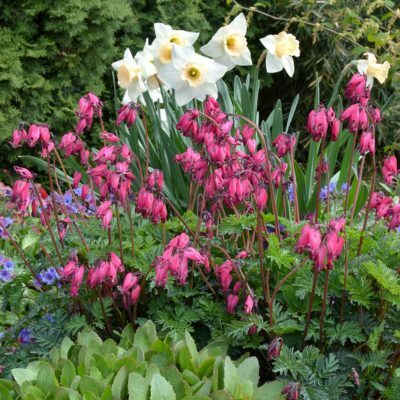 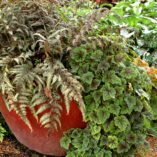 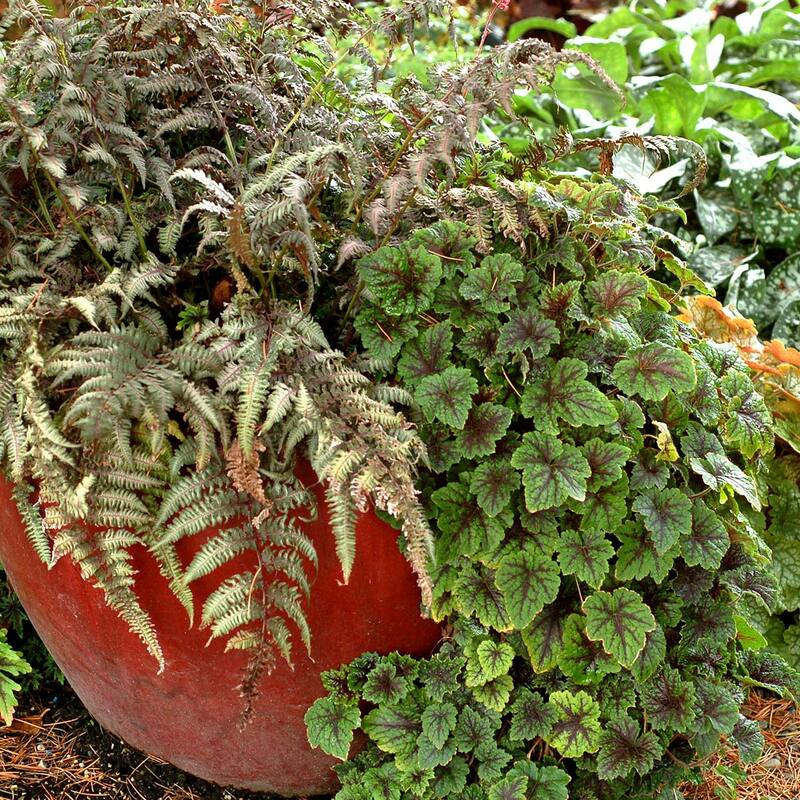 Use as a groundcover, cascading down shady slopes, container.